The vintage chart and harvest reports provided by the Wine Scholar Guild gives you the ranking for every French wine region and vintage from 2000 to today. 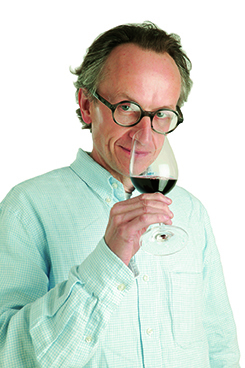 Andrew Jefford, award-winning wine journalist for Decanter Magazine and author of twelve books on wine including The New France has compiled information and written the vintage charts starting with the 2013 vintage. He is also updating information for the vintages prior to 2013. For a quick overview of the recent vintages in the Northern wine regions of France, please use the vintage chart below. More detailed vintage charts, including details on the growing seasons, harvest conditions style and character of the wines are avaiable for Alsace, Champagne, Loire, and Bourgogne. You can read about the growing season in Alsace and learn if Riesling and Pinot Gris were particularly successful. You can also read about white and red wines from the Loire and know which vintage of Muscadet, Sancerre, Anjou and Chinon was outstanding or challenging. Andrew Jefford is also providing a detailed Bourgogne vintage report with a focus on the wines and vintages of Chablis, Côte de Beaune, Côte de Nuits and Mâconnais. For a quick overview of the recent vintages in the Southern wine regions of France, please use the vintage chart below. You can read about the growing season in Northern Rhône and the Southern Rhône and how it impacted the vintage for Crus like Cornas, Hermitage, Crozes-Hermitage and Condrieu as well as for appelations and wines crafted from Grenache and Mourvèdre in the Southern Rhône. The Bordeaux vintage chart covers all the important Bordeaux appellations: Médoc, Graves, Pomerol, St. Emilion and Sauternes. It serves as a great source of information regarding Cabernet-based and Merlot-based reds and which are meant for early drinking vs. cellaring. And if you love Gamay and wonder about vintage Beaujolais, we identified vintages meant for early drinking and those best stashed in the cellar, like the Crus of Moulin à Vent & Morgon, to let them “pinote” or become Pinot Noir-like. 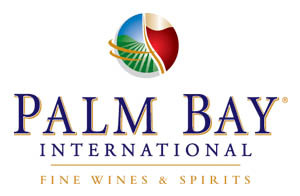 Methodology: This report has been compiled utilizing multiple authoritative sources including regional trade associations, experts in each region, wine producers, academic studies, leading journalists, and the editor’s personal notes. Acknowledgements: E. Gabay MW (Provence); Hugel family (Alsace); D. Markham (Bordeaux); K. McAuliffe (Rhône); M. Stubbs MW (Languedoc-Roussillon). Editor’s comment: This chart is intended to serve as a reliable guide for professionals, educators and collectors. Judgments as to the quality, longevity and current maturity of a given vintage are by definition simplified assessments describing the average profile of the year. There will always be individual wines which surpass, or fail to reach, the overall standard, or which may have a shorter or longer life than their peers. Last, these evaluations are not fixed and permanent; rather, they will be revised as needed to reflect the wines as they age in bottle.